Office Space - Thorner, West Yorkshire. 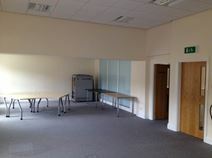 This office space is less than 5 miles from the A1, with easy access to Leeds City Centre. This is a prestigious office environment in a lovely parkland setting, offering quality accommodation with a range of business support services.